If you are one of the seventy million Americans counting on your 401(k) plan to usher you into a comfortable old age, you're likely to be bitterly disappointed. Rather than benefit the employee, 401(k) plans reward employers, brokers, investment advisors, fund managers, insurance companies, unions, and lobbyists. Relying on these plans makes it increasingly difficult to retire comfortably. In his straight-forward, no-nonsense style, best-selling author Daniel R. Solin offers the new rules for investing for retirement. 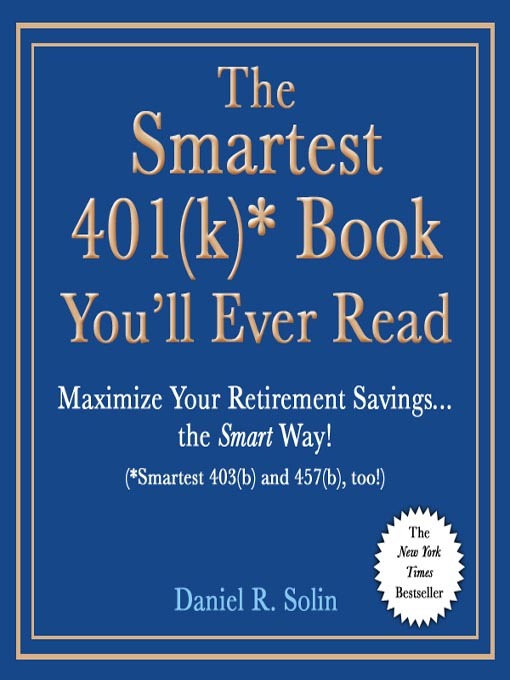 He shows readers how to quickly and simply determine their own needs, get control of their assets, avoid scams and sucker bets, discover untapped resources at retirement, and eventually get income out of tax deferred plans—the smart way.